Ceramics, calligraphy and paintings from various dynasties make up the present day collection of Guangdong Provincial Museum. There are 300 first class artifacts in the collection, including a few national treasures, such as the Ink Dragon Drawing by Chen Long in the Song Dynasty, a Monkey King ink slab from the Qing Dynasty, and a white glaze Sakyamuni figurine dating back to the first year of the reign of Emperor Xi Ning of the Northern Song Dynasty(1068 AD). Established in 1959, the 29,000 square meter area displays over 130,000 relics with 25,000 geological relics from the Guangdong area. In addition, the Bell Tower, the site of the First National Congress of the KMT, the Revolution Square, the Sun Yat-Sen University astronomical observatory and Lu Xun Memorial Hall are key historic locations within the museum. Permanent exhibitions include Chaozhou woodcarving, Guangdong history, sea trade artifacts, and natural resources. 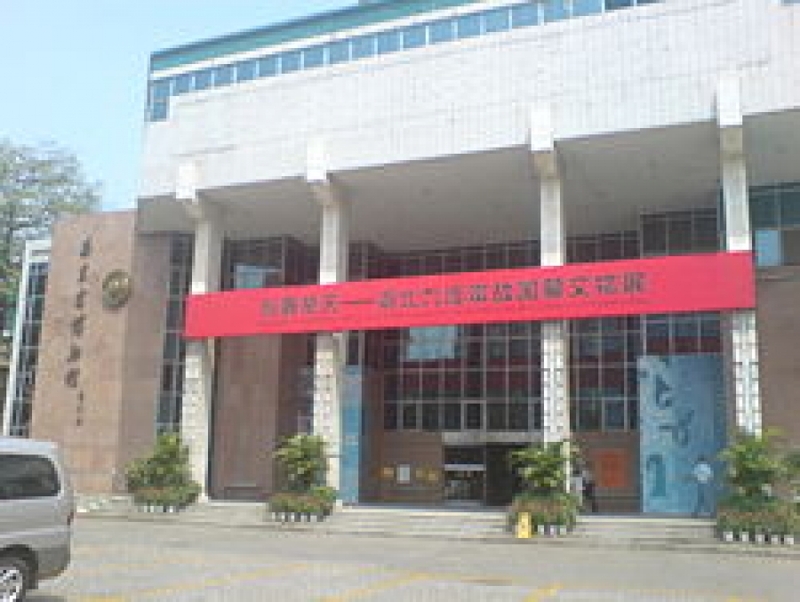 The museum is scheduled to move to new premises in Zhujiang New Town in Guangzhou at the end of 2007.